Krones AG reported that Italian Bracca Group has increased sales by more than 30% since installing its LitePac “Invisible Packaging” system in mid 2011. 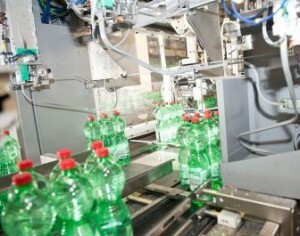 According to Krones, Bracca is the first water bottler to adopt the system worldwide. At Bracca’s facility in northern Italy, the machine produces strapped packs with an integrated handle, doing entirely without shrink film for secondary packaging, and thus providing significant reductions in both energy consumption and film waste that needs to be disposed of. The Italian supermarket chain Unes is the first food and beverage retailer to sell the Bracca Group’s exclusive brand Presolana U! in the new LitePac. In fact, Unes initiated a project aimed at reducing the packaging for the Presolana U! mineral water brand. Upon request by Unes, Krones and Bracca joined forces and in January 2001, Bracca ordered the EvoLite machine, which was then integrated into the firm’s 24,000b/h PET line in a bypass configuration, and all the conveyors linked up. Since October last year, all of Unes’ 186 U2 supermarkets have been supplied with the 1.5L PET sixpacks containing the Presolana mineral water brand as LitePacs. A comparison of Presolana sales achieved at Unes in January 2011 (shrink-wrapped packs) and January 2012 (LitePac) was up 33%. “Our trading partner Unes has told me they’re extremely satisfied with the LitePac,” notes Bracca Group Director General Gianfranco Morandi. “As far as we ourselves are concerned, the results obtained in actual practice are likewise very encouraging: energy savings of 12.4% and plastic consumption cut by 14.8% for the whole pack including the bottles, combine to produce overall cost economies of 7-8%. When we’re looking at the secondary packaging alone, the weight of 28g for the conventional shrink film is reduced to two to three grams for the LitePac’s strap, in other words: by around 90%.” The EvoLite machine can also be changed over to handle 0.5L containers if needed, Krones adds.